Wow - January slipped through my fingers, did it not? Oh well, onward and upward to my favorite holiday smack in the middle of my least favorite month. Let's see what we can do to make it cheery. 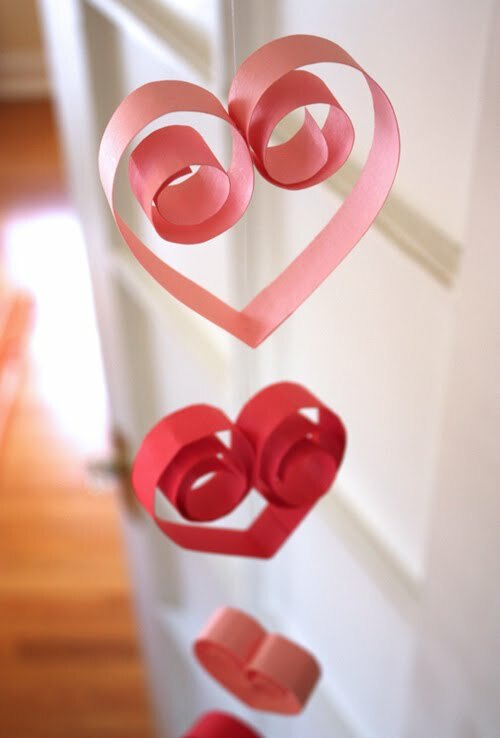 Starting with this heart garland tutorial from About Orange. Totally something I can do with the kids, and save my precious alone time for something else.